Not to be confused with Tablelands, Queensland (South Burnett Region). 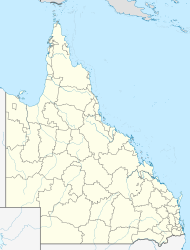 Tablelands is a locality in the Gladstone Region, Queensland, Australia. ^ "Tablelands - locality in Gladstone Region (entry 47308)". Queensland Place Names. Queensland Government. Retrieved 29 December 2017. This page was last edited on 13 January 2018, at 22:37 (UTC).